This summer I had the chance to work on an exciting project for Scholz&Volkmer again. 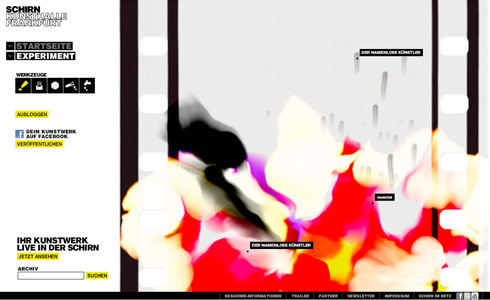 While Vincent Rebers focused on the live installation and multiuser drawing tool I took the load off from him by developing the rest of the microsite. We not only had a great time, it's also honored by the Bronze DMMA-OnlineStar in the category Microsites. 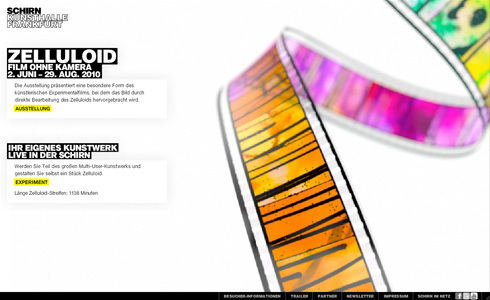 An integrated, viral campaign related to the “CELLULOID. Cameraless film“ exhibition at Schirn art gallery. 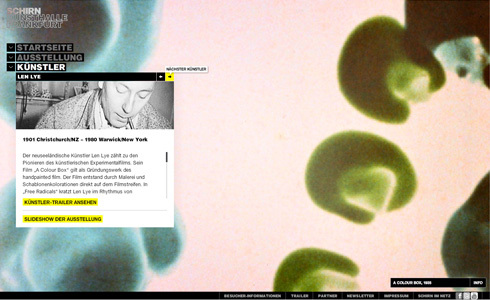 "Your artwork at the Schirn! 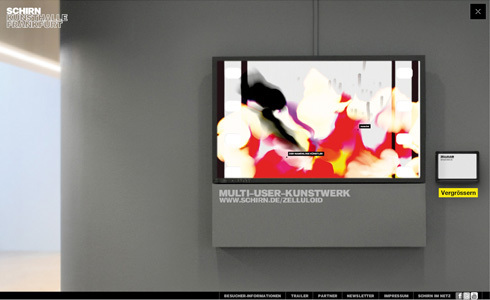 ": With a multiuser realtime drawing application the visitors design their own artwork and publish it both on the Website and on a live installation as part of the art exhibition. All visitors and users can take part in the exhibition at the art gallery and present one of their own artwork next to other great artists.